It’s hard to believe we’re in May already and Mother’s Day is just over a week away – it’s certainly seems to have crept up. Mother’s Day has been on my radar though as I’m heading to Honkers later this week, as I’ve wanted to make sure All The Mums are sorted before I go. So, now I’ve given it some thought, I’ve decided I’ll treat my Mum to high tea at The Peninsula while we’re away in Honkers together and Mr SnS will do some crafty reconnaissance for his Mum – i.e. call his Dad and peruse this post – and organise her gift. And as much as the homemade cards and thoughtful and often hilarious gifts my boys lovingly select at the school Mother’s Day stall are the MD highlights for me – my cat ring holder from 2015 is going gang busters, thanks for asking – I’ve even bought a couple of “extra” Mother’s Day gifts for myself to save Mr SnS the trouble. 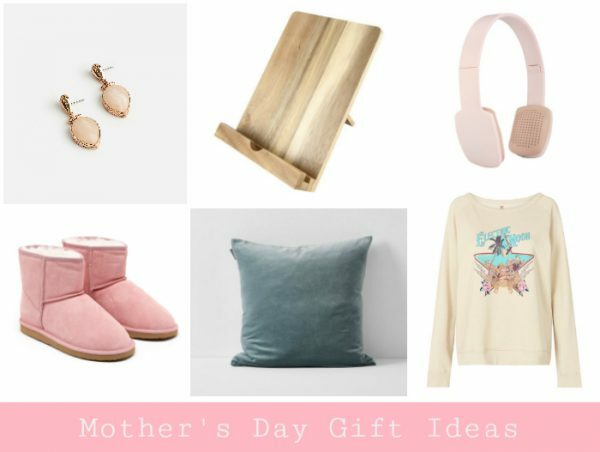 But I appreciate that for many, Mother’s Day is only just now creeping on to the radar, so I’ve put together a gift guide to help if you’re not sure where to start when it comes what to buy your wife, partner, Mum, Step-Mum, Mother in Law or other special mother figure in your life. Sloppy Joe, $99 from Spell Designs. The Tattooist of Auschwitz by Heather Morris, $29.99 from Dymocks. Cosmetic Bag, $39.95 from Witchery. If you’ve got some lead time, personalised jewellery is a thoughtful and sentimental gift for your special someone. 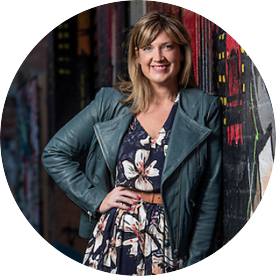 Check out the extensive range at UberKate. 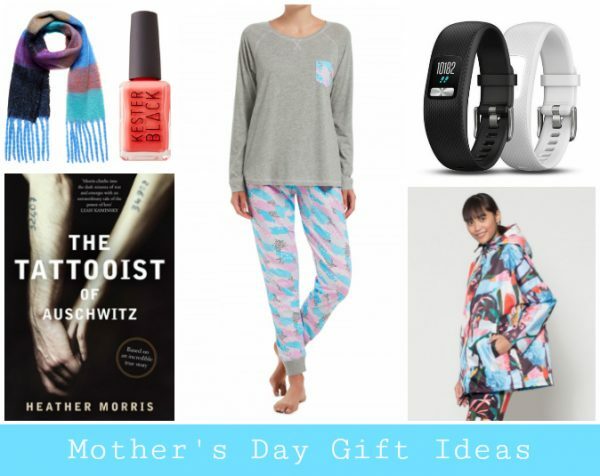 PJs, bathrobes and slippers might not be the most imaginative gifts going around but I do love a fresh pair of PJs for Mother’s Day or a new pair of slippers. Peter Alexander, Cotton On Body and Sussan are all worth a look. Approach gym memberships, sports equipment and appliances with caution and do your research. You want to be really sure these gifts will be welcomed. A beautiful bunch of flowers and or/a bottle of champagne/bubbles are always popular gifts around here. Finally, for lovers of home wares, soft furnishings and decor, I wanted to give you the heads up about AURA Home’s Mother’s Day Shopping Night for the Dads at the new AURA Home Concept store on Thursday 10 May, 5.30pm – 8.30pm at 1371 Malvern Road, Malvern. 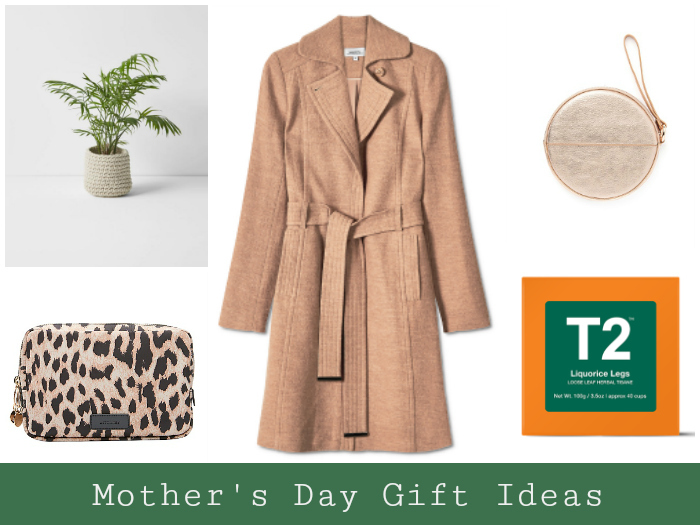 Just head in store before Thursday 10 May to create a Mother’s Day gift wish list. Dads/Partners can then head in store for a cold craft beer and pick out a gift from their partner’s wish list for Mother’s Day. If you can’t make it on the night, don’t stress. Just call or email ahead and they’ll make sure your gift is wrapped and ready to collect at a time that suits you. Email: malvern@aurahome.com.au Call: 03 9822 6980. Happy shopping! Do you have any Mother’s Day traditions? What gift will you be buying or hoping to receive this Mother’s Day? What’s the best thing you’ve received from the Mother’s Day stall?